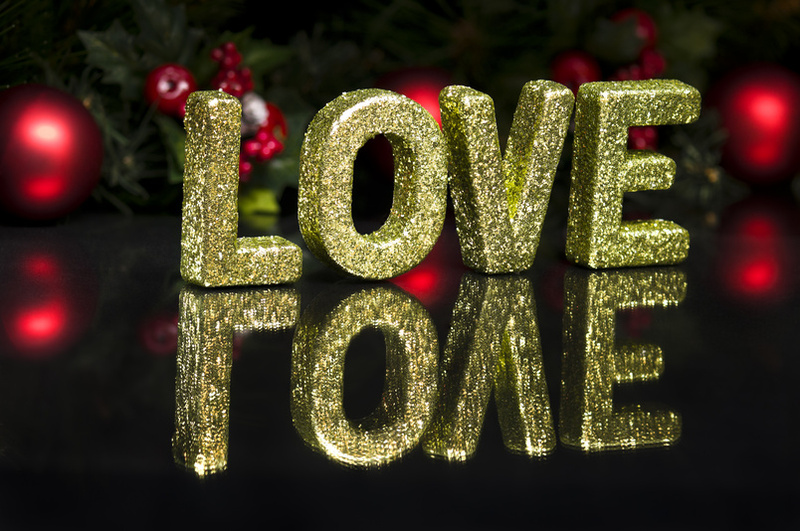 Glitter Covered Letters & Signs - Glitter My World! The above image is a 12" x 12" chipboard square covered with 1 oz of silver craft glitter in the 0.040 flake size. 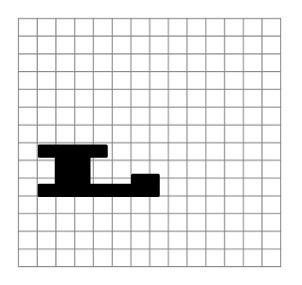 The above is 1" graph paper. Alvin makes it in sheets and rolls. There is a basic rule of coverage that you can use when estimating how much glitter you need for your project: 1 oz will cover 1 square foot. This is just an estimate and we cannot say that you method of using glitter will be the same as ours. This just gives you a place to start. Math Challenged? : We understand and can help you with a nearly math-free solution. All you need to do is find some graph paper that has 1" inch squares. You can buy it in sheets or in rolls. Once you have your graph paper and your letter, you can put the graph paper down and lay the letter down on top. Trace the letter and then count the number of squares that the letter covered. If your are only coating one side of the letter then you now know the number of square inches. If you are coating both sides then double that number. If your letter is dimensional then you will need to trace the sides of your letter too, using the graph paper. Once you have a total count of your square inches you can use the information below to see what size jar you will need. 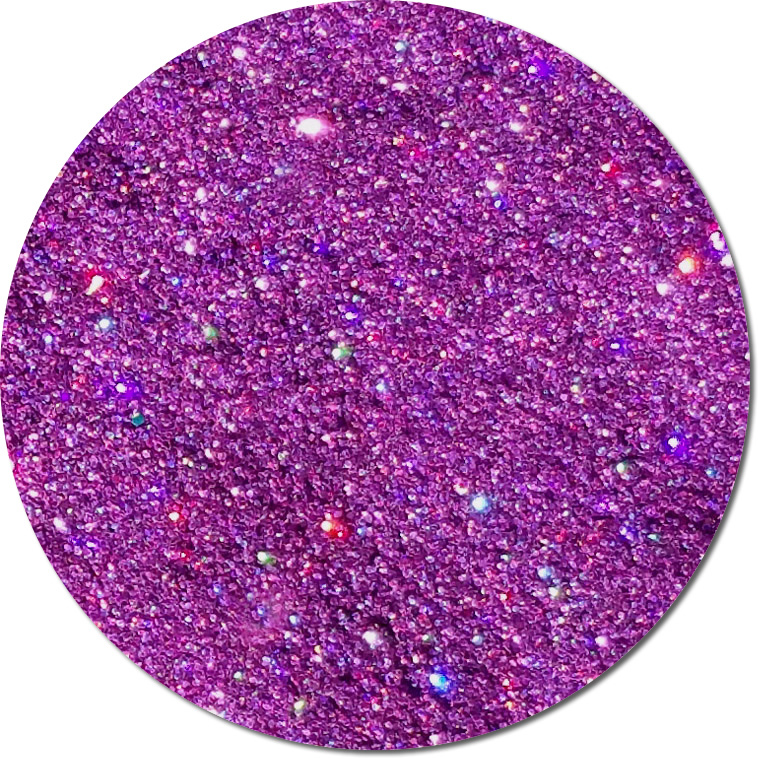 We sell two types of glitters. The first is Craft Glitter and the second is Polyester Glitter. There is a big difference between the two so we need to make sure you get the right kind for the job. 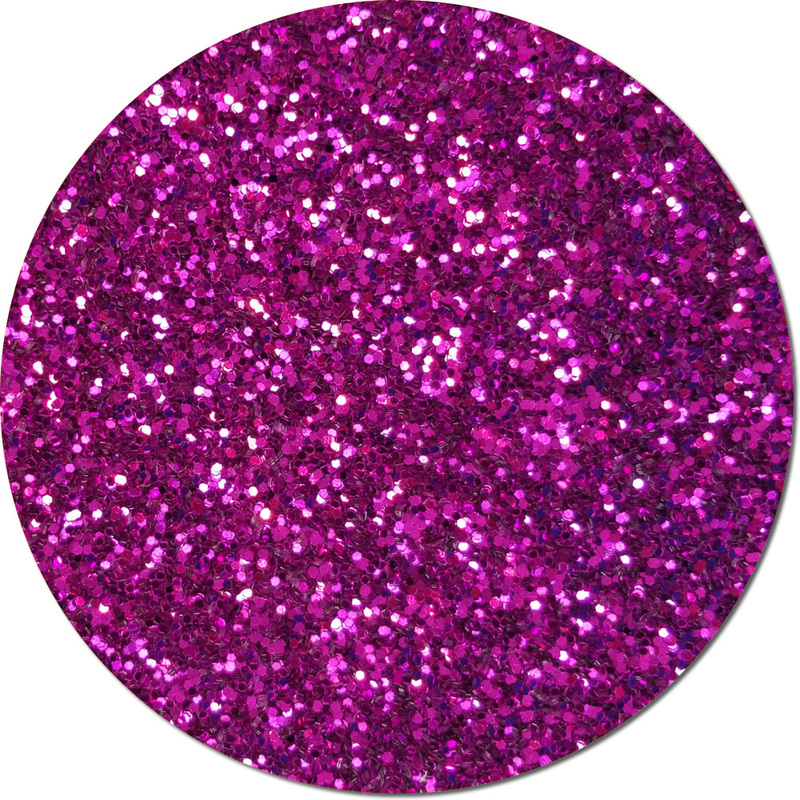 Craft Glitter- This glitter is less expensive for sure. However, if you are making an outdoor sign or plan to overcoat the sign with polyurethane (or anything solvent based) then this type of glitter is not going to work. It can only handle limited sun, water and no solvents. Putting it outside for a Summer will probably be fine, but if you expect it to hold up beyond a few months outside in the elements, then you will be unhappy. It is perfect for indoor signs, high school proms, parties and things of this nature. Polyester- This glitter is much more expensive, BUT you get your money's worth if your signage needs to hold up over time. 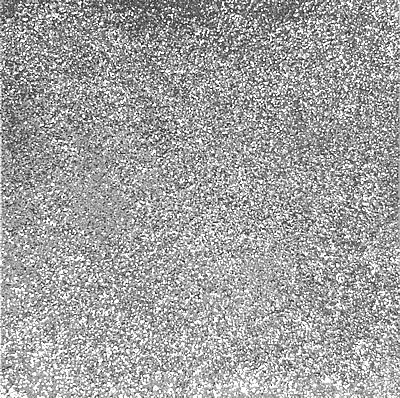 Most Poly flake glitter is OK in the sun, rain and you can mix most poly flake glitters into many types of sealers including solvents. That being said- always test your glitter and sealers before you begin your project! We have a few favorites that we use in the CPG studios all the time. For large surfaces, we use 3M Super 77 spray glue. If you are in a big hurry this glue gets the job done incredibly fast. However, this glue is thin, so there will be some glitter flakes that fall off. You need to take the time to use your hands to really smooth the glitter in and make sure it sticks. 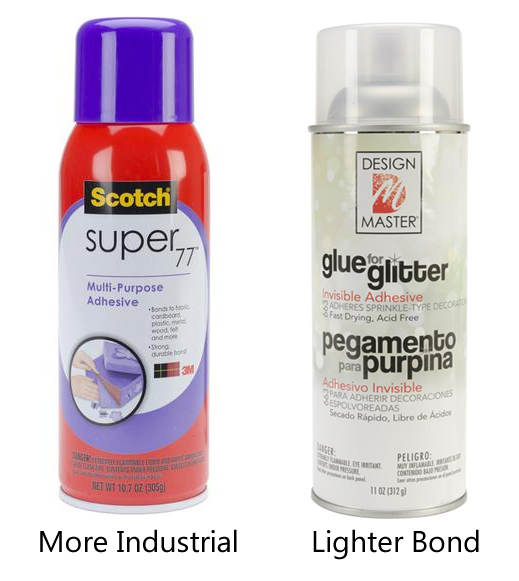 For foam letters/signs we use Design Master Spray Glue for Glitter Spray Glue for Glitter. It tends not to melt the foam like most sprays. Not all foams are OK so have a brush on dries-clear glue "back up plan". 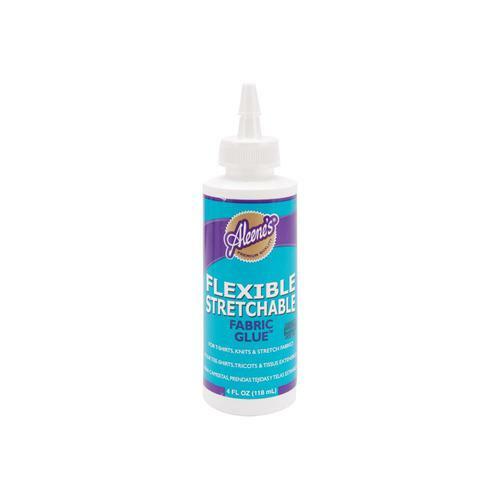 For fabric signs or banners that need to wash, our new favorite glue is Aleenes Flexible Fabric Glue. It allows for stretching and washing (if done carefully). For crafts the old favorite is always going to give you the best bond- brushing on glue. A dries clear glue works best as it avoids color bleeding that can happen with white glues. 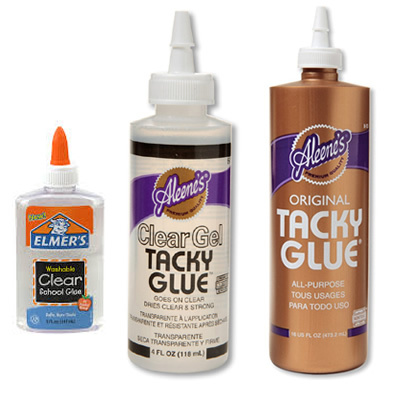 Our new favorite is Aleene's Clear Gel Tacky Glue. We also like Aleene's Tacky Glue, but there are plenty of other brands out there too. Mod Podge is also an excellent option. The grabbing power of brushed on glue is going to be the best and keeps the glitter from excessively flaking off. Need to do a quality job, this is the way to go.